Gift Certificates from SEA Landing Dive Center are a gift for any outdoor enthusiest in your life. SEA Landing Dive Center rents Single and Tandem Kayaks right off of our docks. We a have clean and convenient launch area within the Santa Barbara Harbor. You are allowed to go where ever you like to see the amazing ocean beauty that Santa Barbara has to offer. 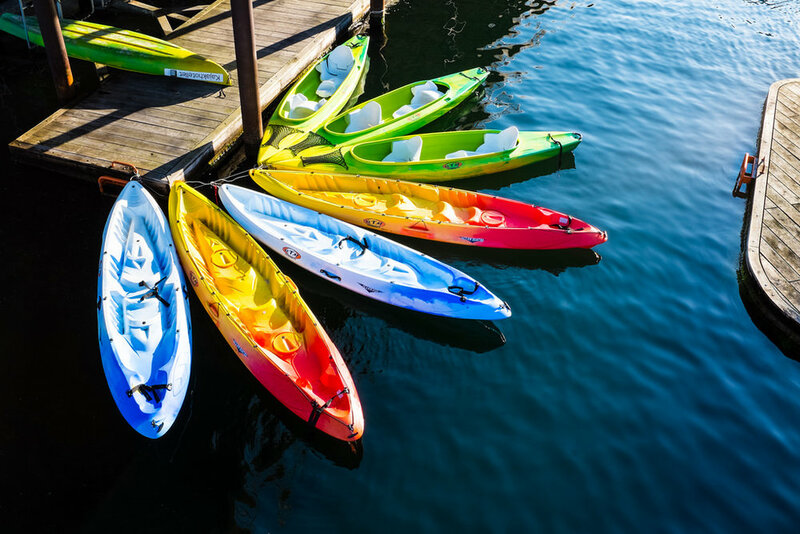 Our kayaks are great for exploring the harbor, or even getting a little fishing in. Our 3 hour rental, allows you to explore to your hearts content without having to worry about how much time you have left. Already know a diver, or a potential diver? What better gift than the gift of high quality SCUBAPRO gear. SEA Landing Dive Center is a Platinum SCUBAPRO Dealer. You can be assured that SCUBAPRO Platinum Dealers are truly "diving professional", we have thorough SCUBAPRO product knowledge along with well trained staff and service professionals. SCUBA classes are a great gift for those water-people in your life. We teach classes roughly every 2 weeks. Once we have completed pool training we will do four dives in the Ocean. Two of those dives are done along the Santa Barbara Coast and the other two are done on board the Truth Aquatics dive boats out at the Channel Islands. Once completing our Open Water course, the diver will be certified for a lifetime to dive anywhere in the world to a max depth of 60'. After completing any of our diver certifications, our divers receive 10% off our diver gear for a year and 20% off of Truth Aquatics dive trips for a year. We offer classes ranging from basic Open Water up through PADI Divemaster.